This experience shall be accumulated on one or more model railroads having at least two mainline trains plus yard switching in simultaneous operation. Some system of freight and passenger car movements, including road switching, shall be used for controlling train activity. The following descriptions are not designed to list ALL of the things that a particular job must involve - they list things that are typically involved in each job. Naturally, jobs, duties, and overall operating complexity will vary from one model railroad to another. Shall run their train in a manner that simulates the prototype, following the rules of the model railroad being used, and operating according to the signal system (if present) or by direct instruction of the Dispatcher. Will meet the requirements of Mainline Engineer. In addition, he or she shall perform all required switching with approval from the Dispatcher in a manner not to adversely affect the overall railroad schedule or operations. Operating in a prototype manner includes no 'jack-rabbit' starts or sudden stops during normal operations. Runs the freight yard. He or she makes up trains with the appropriate cars in the desired numbers to have trains ready when the timetable or Dispatcher requires them. Generally, the Yardmaster operates the switch engine, but in a large yard could direct other yard engineers. Is in charge of the passenger station and all passenger switching. He or she makes up trains with the appropriate consists so that the trains are ready when the timetable or Dispatcher requires them. Terminating trains are broken down appropriately and the cars are serviced and stored as needed. Through train switching is accomplished. Shall run the engine facilities. He or she shall have each locomotive facing the correct direction, double-headed or lashed up, ready for the Engineer to easily leave the engine area. Service to locomotives shall be simulated. Returning locomotives are placed in their appropriate stalls or tracks. On layouts with advanced control systems, the Hostler can handle assignment of locomotives to the appropriate engineer' s throttle. Decides what is the correct motive power for each train. Assigns throttle control to the motive power. When assignment is finished, he or she returns control of that motive power to the Hostler, or to off. 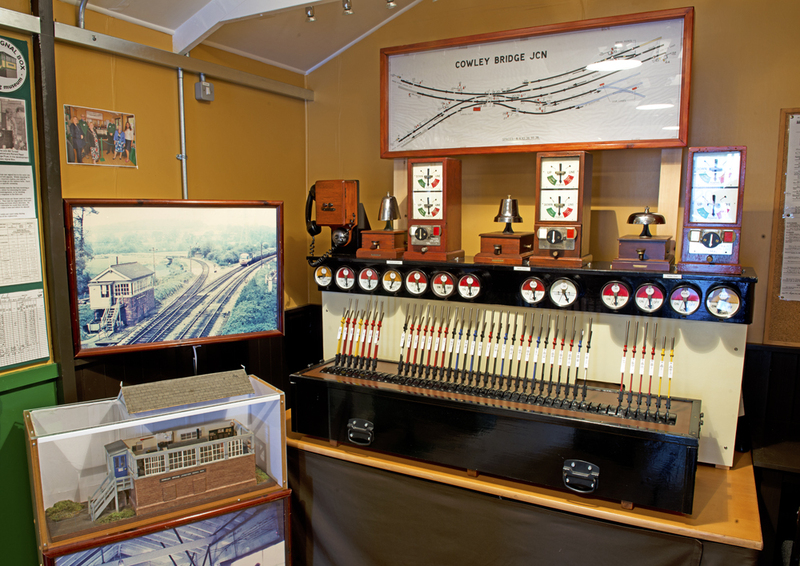 Operates one or more towers (control panels) on a layout. He or she sets up appropriate routes at the correct time under direction of the timetable or the Dispatcher. Reports train passings to dispatcher if required. Determines which cars come and go from each industry, and the amount and location of traffic, and specifies the route. May create a computer program to do this automatically. The operating trouble-shooter and repair person. He or she keeps things moving smoothly. Can take track in or out of service. Coordinates all train movements, either by sequence, timetable and fast clock, or other operating system. Prepare a schematic drawing of a model railroad layout meeting the operating conditions described in (A), and indicating all pertinent simulated distances. Normally, this would be a diagram of one of the layouts you put in your qualifying time on - but there is no requirement that it must be. The drawing must be neat and readable, but it does not have to be in ink. Develop a timetable appropriate to this model railroad, simulating prototype time, covering a period of eight hours or more, during which at least three scheduled mainline trains move in each direction. Develop an operating train chart (graph) which interprets the above schedule for timetable operation of the model railroad. Indicate at least one train meet on the schematic drawing required in (B-1) above. Show the position of the trains involved and describe the action, giving pertinent time and movement data to effect the meet. Develop or adapt a system of operation for the layout in (A), including all the necessary forms and explanations for their use for controlling car movements, train makeup, and operation in a prototypical manner. Members of the same club or home layout operating group who are applying for the Chief Dispatcher certificate can use copies of the same paperwork for requirements 1 and 4, but each must develop and submit their own timetable and train chart (even if they are all copies of the same one). Another possibility would be to have all the members who qualified submit their application at the same time. and just use one set of the paperwork for #'s 1 & 4. The forms and drawings meeting the requirements in (B). Description of the jobs held and the approximate number of hours in each. The signed witnessed "Certification of Operation" showing that all the requirements have been met and the applicant has operated a model railroad in a prototypical manner. Contact National Achievement Program General Manager, Paul Richardson, MMR achiev@nmra.org, or your Region or Division Achievement Program Manager for more information. Also refer to the article "Chief Dispatcher", NMRA Bulletin, May 1991.